Nisita, a community health worker, visits almost 300 households a month in Korail, a major Dhaka slum in Bangladesh. From day one, she became frustrated with identification challenges when many of her patients have similar names or names with multiple spellings. Some of them might not know their exact date of birth, and most have no formal address. Gradually, she finds the massive migration within the slum a more daunting problem which forces migrants to start over in a new area without any health history. Today, more than 40 percent of the total births go unregistered each year worldwide, precluding these individuals from critical services like healthcare, education and financial services. Legal identification in Bangladesh poses a more acute problem. Without formal identification such as birth certificates, it becomes extremely difficult for health workers, like Nisita, to identify their patients within a crowded urban slum, which continues to breed poverty. Enter SimPrints, a nonprofit startup founded by a group of Cambridge students in 2014. These researchers are dedicated to developing modern technology to correct the identification challenges faced by these healthcare workers. Its groundbreaking low-cost biometric scanners create a unique digital identity based on a tap of the patient’s finger. Health workers in the remote areas now can simply swipe a patient’s fingerprint to access the patient’s health or vaccination records on a mobile device, either online or offline. This immediate and reliable access allows them to make better decisions and track their patients’ well-beings more effectively. “This technology can ensure that even the poorest have the right to an identify within health systems,” said Toby Norman, the CEO at SimPrints. 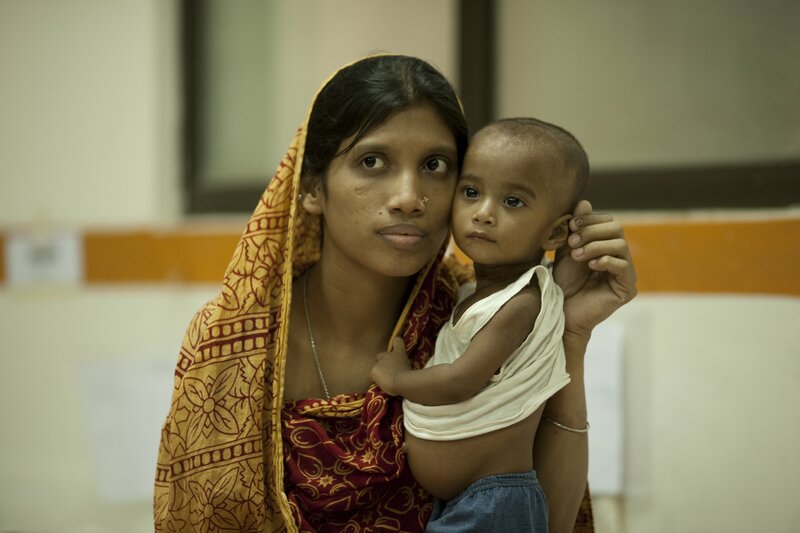 In the following year, SimPrints received respective grants from the UK Department for International Development (DFID) and the USAID Saving Lives at Birth for a maternal care project in Bangladesh slum neighborhoods. SimPrints, Dan Storisteanu, co-founder said, “That childbirth is the most dangerous aspect of many women’s lives is heartbreaking.” According to SimPrints, only 39 percent of all mothers are receiving a minimum of four check-ups before birth, which the World Health Organization recommends, due to challenges in legal identification. Earlier this year, SimPrints launched its pilot project in Dhaka, working with John Hopkins University’s Global mHealth Initiative and BRAC, the biggest non-governmental organization worldwide, to ensure that over 22,000 expecting mothers and their newborns would be regularly visited. The SimPrints team designed nine separate scanner models and did eight rounds of field testings to get to their finished product which would offer a solution to the problem of legal identification in Bangladesh. “We noticed that many fingers had stiffened with age, after years of manual labor, and found the swiping motion too difficult,” Norman observed. As a result, the algorithm in the final project is optimized to recognize worn, scarred fingerprints such as those of rickshaw drivers or of women struggled with back-breaking work in brick kilns. In addition, the scanner takes cultural differences into consideration. Simprints has designed universal symbols on the hardware that can be recognized in many cultures. The company also added a strap to the device so women can be scanned without touching a male health worker. “This is a very exciting initial investment into a promising technology that addresses a key bottleneck in global health programs,” said Professor Alain Labrique, Director of the JHU Global mHealth Initiative. Addressing the identification challenges in these countries lays the strong foundation for institutions to provide access to justice for all and promote inclusive societies for sustainable development. SimPrints will continue rolling out its biometric fingerprint scanners in Nepal and parts of Africa this year, potentially reaching 52,000 mothers and their newborn children by the end of 2016. With a simple tap of fingers, these children are given an opportunity to walk out of the slums and become productive members of their communities.